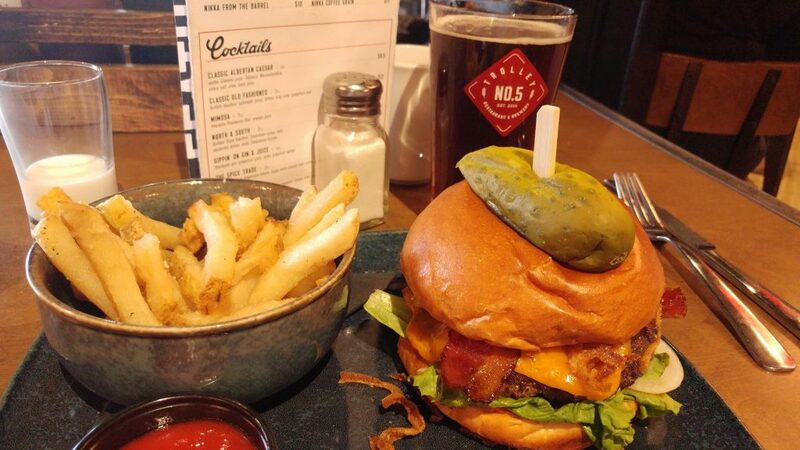 Burger, fries, and the Pumpkin Beer Great combo! So over the last few months when Trolley 5 opened I have been saying I really must go for a tour, and I keep putting it off and keep putting it off and one thing lead to another and the leaves started to change colour and I realized that I really must do this tour and soon! So when I went and talked to Mallory from Trolley 5 she invited me to check out the Pumpkin Ale they had on tap and possibly take a tour, so without hesitation I did, however it was the same day I hung out with Bennie from Mill St Brewpub, so I couldn’t go for a tour but I did try their Pumpkin Ale, and it was decent, but felt like there wasn’t enough pumpkin in it. This beer was as awesome as the picture! I went and emailed Mallory a bit later in the week and apologized for not being able to do a tour that day but I did schedule one a couple of weeks later and I’m so glad I did. 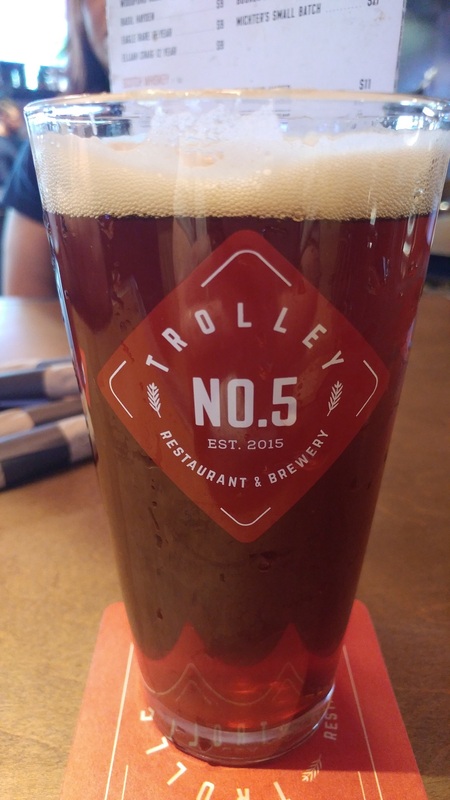 Not only did I get to try a recent release of the Red IPA they had, we also got to tour the brewery with Ernie who is a co-owner of Trolley 5. 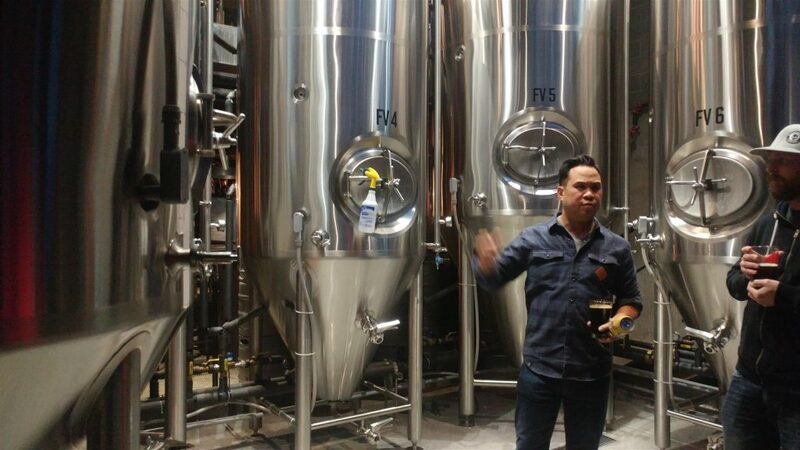 He took us on not just a tour, but a magical story about how the brewery came to be part of 17th ave and how it will be a big staple in the Calgary scene. 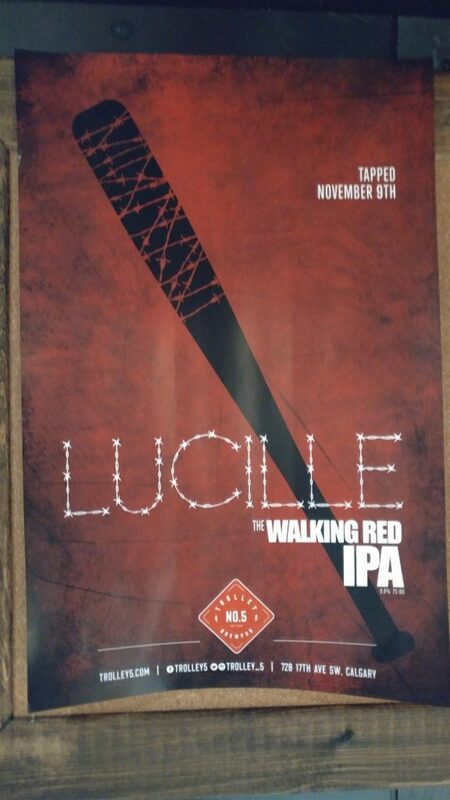 Red IPA without a Barbed Wire Bat! I’d LOVE to say I can tell you all the things that he told us but I strongly suggest you go and take the tour yourself! The energy behind his stories, and just the enthusiasm of his place shows he really wants to make this something that will not only stick out from all the other places in Calgary, but also combines and collaborates with many the breweries in Calgary and possibly from outside of the city limits too! 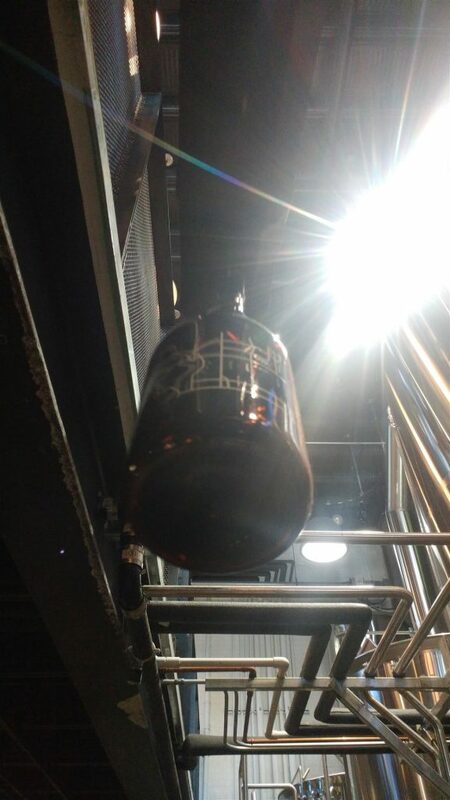 From telling us what each floor means and why they named them, to the design, the tracks of the moving growlers, to why the name of Trolley 5, each area has been crafted so that it is unique in its own way, just like the way their beers are. He even talked about his Pumpkin beer where people where looking for more pumpkin and less spice, however he went on to explain that the way they did it and the way that they looked at making it, it was the way they wanted to have the beer. Going further in letting us know HOW they did the tasting of it, and if you “swished” it in your mouth a certain way, you can get all the flavors perfectly balanced, and how that should be the way reviewers like myself should be tasting beers to get the full palate within our taste buds. Granted I was a bit skeptical but I tried it and you do get a different taste of beer than the way I was doing it before hand, on some beers, but in a way it made me learn a bit more about reviewing beers. 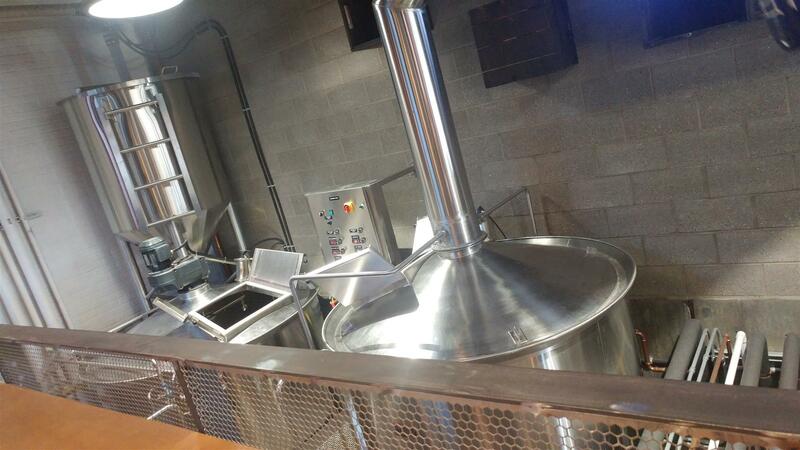 You can see the brewery from below.. and above! Our Guide and wonderful Story Teller Ernie! He told us all about the up coming programs he has for the beers at Trolley 5 including a Barrel aged sour series, many collaborations including one which will be released this Thursday with Banded Peak where a $1.00 from the beers sold that day will be going to the Avalanche Canada Foundation! WHAT is there not to love about that? 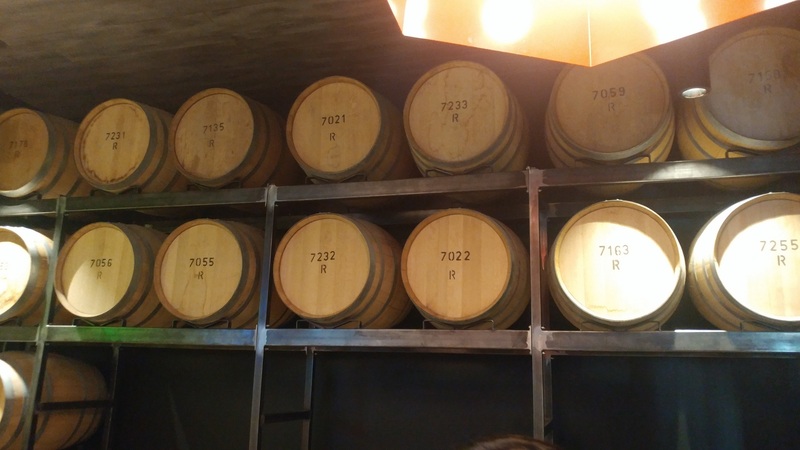 Cant Wait to see what gets filled in these Barrels! 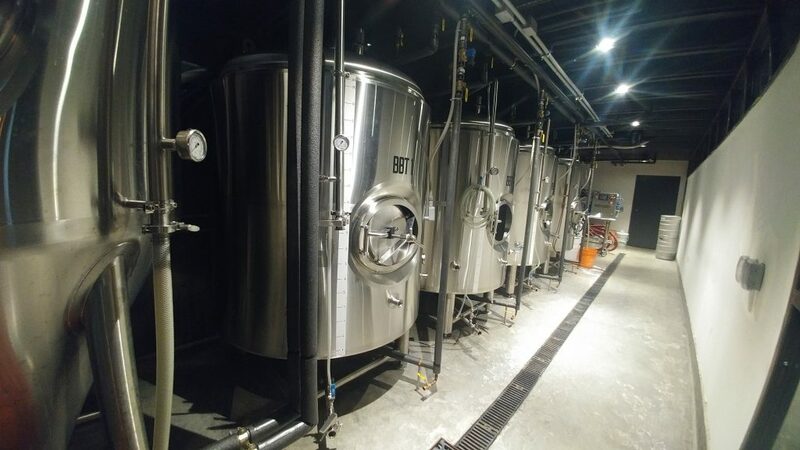 Ernie and company did a great job of the location, the upgrades to the building, and the beers that going in there is something to enjoy all together. Christmas parties would be a blast there if anyone is thinking of one there. I’m so very glad I did finally take the time to have a tour there and I’m also very glad that I got to share my experience with a fellow brew reviewer, Joe and his girlfriend joined me and they felt the same way as I did. It truly is an experience you have to see on your own. Go and book a tour, have a beer, or even some food! For now I’m PK saying Cheers, Stay Frosty and I will talk to you again real soon!